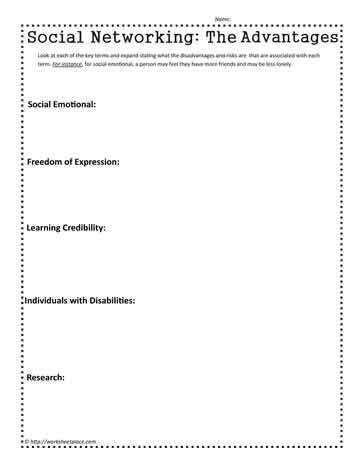 Social networking worksheet and lesson plan. Understand the advantages and disadvantages of social networking. Online and real time friends have different needs and it's important to understand the pros and cons of online networking on both social media sites and games.